After Netflix was nominated for the Oscar for Best Film for the first time ("Roma" also has a good chance to win it) and has 14 more nominations, this step was probably inevitable: Netflix becomes the first streaming service to join the Motion Picture Association of America (MPAA), the association of the six major American film production companies (Paramount Pictures, Warner Bros. Entertainment, Sony Pictures Entertainment, Walt Disney Motion Pictures Group, Universal Studios and 20th Century Fox), which also awards the Oscars. 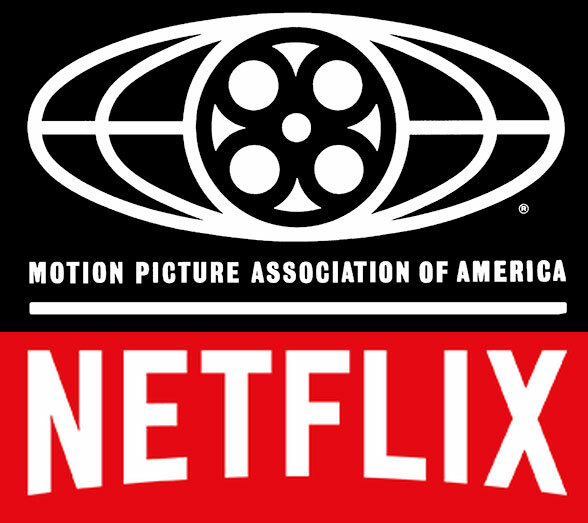 Previously, membership was reserved only for the major film studios - Netflix is now not only the first streaming service to join the MPAA, but also the only member not based in Hollywood and not primarily a film studio. The film industry has long resisted this move, traditionally representing the interests of classic film distribution and cinema exploitation. Netflix, with its pure online business model, has so far been perceived as a threat to cinemas and thus as a competitor. However, there are a number of issues, such as copy protection and tax incentives for film production, which affect film studios as well as streaming services (which increasingly also produce films themselves). Cannes, on the other hand, had excluded Netflix from the award ceremony last year because his films are not shown in cinemas. Netflix circumvented the "first cinema" rule, which also applies to Oscars, for "Roma" by showing the film in some cinemas before it was released online - with the express aim of at least formally complying with the rules (despite a short running time in only a few cinemas) and thus making an Oscar nomination possible. Netflix wants to make the prestigious Oscar nominations (and the possible profit) increasingly attractive for recognized filmmakers as well. Netflix has also put a lot of money into the nomination of "Roma", according to reports a full 25 million dollars - a huge amount, especially compared to the production costs of "only" 15 million dollars. Netflix has been nominated 10 times for "Roma", twice for "The Ballad of Buster Scruggs" by the Coen brothers and for two documentary short films. The fact that Netflix not only concentrates on the production of series, but also increasingly produces prestigious films, had already been reflected in several Oscars nominations in recent years. Which of the Netflix films are real in-house productions is unfortunately not easily recognizable on Netflix itself - the term "Netflix Originals" is unfortunately somewhat misleading, among them Netflix in-house productions as well as films for which Netflix has acquired the exclusive exploitation rights can be described. For the viewer, the nominations of a streaming portal have the advantage that the films are already available online on Netflix - which is not the case for many of the other nominations. Most of them are no longer on the big screen (except "The Favourite", "Green Book" and "Vice"), but many of them are also available online via various streaming portals - for purchase or loan - such as "A Star Is Born", "Bohemian Rhapsody", "BlacKkKlansman", "Black Panther" which can be seen on iTunes, Netflix, YouTube, Google Play and/or Amazon. Another special feature of the Oscars 2019 is the first nomination of a superhero blockbuster ("Black Panther") in the category Best Film. We are curious to see which films will win the race for the 91st Oscar on 24 February 2019.